Tracy Tucker, our optician, has been in the eye care field since 2007. After working for several years as a optometric technician, she grew in her adoration for the field and decided it was time for a change in her daily responsibilities. 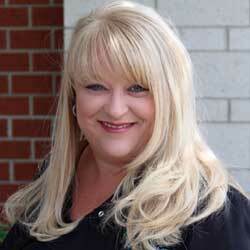 Tracy joined Premier Family Eye Care in 2012 as our optician. She is passionate about helping patients find that perfect pair of glasses, increasing their confidence and vision all the while. When not helping patients find that perfect pair of glasses, she enjoys spending time with her family and sharing her love of Jesus Christ with others through a variety of ministries she is actively involved in through her church.